Every job has got a recommended method of operation, a series of steps and a set of approved materials and work tools that are needed for each operation to be concluded. It is the responsibility of the employer to ensure that the work is done by way of these recommended preferences, as anything short of this could lead to a reduced output and could even put the employees in the risk of sustaining an injury. Employers are to provide supervisory services, either personally or by hired help, for the sake of the project and those working on it. Now, if you have sustained serious work injuries while on the job, you should be compensated for having to go through such ordeal. 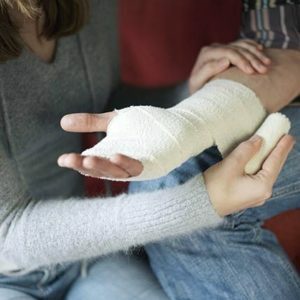 Injuries can bring both physical and psychological discomfort; you should be sated for having to undergo these sad conditions as a result of the job. To ensure that your rights are not ignored, it is always safe to hire a competent attorney that will help get you compensated. Rawa Law Group is a law firm that epitomizes legal finesse and devotion. We provide exclusive legal services that are tailored to bring you success. You are not obliged to pay anything before we take on your case, as a matter of fact, we don’t receive any payment from you until your case has been declared won and we have brought you some money in return. Our work injury attorneys have championed the legal scene here in Hemet, and we are excited about what we can do for you. Reach out to us for more information; we would like to hear from you.